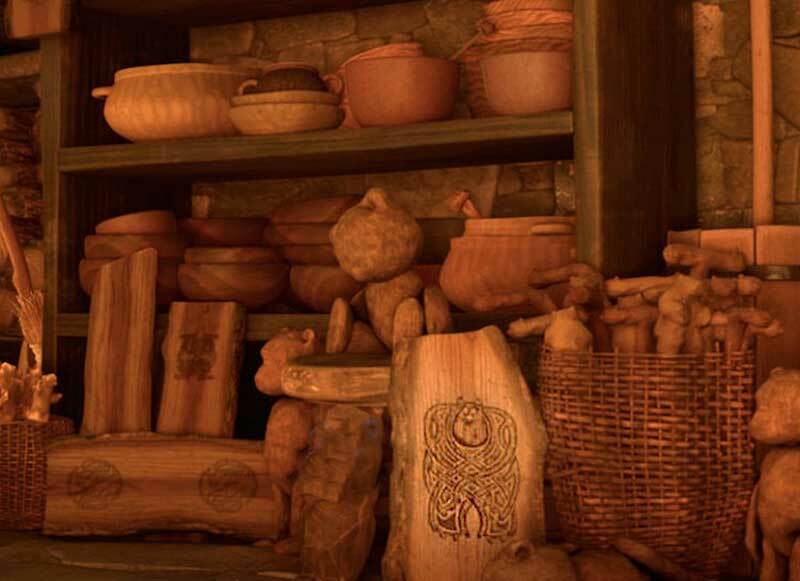 You wouldn’t expect it, but Pixars Brave is full of hidden Easter eggs. Just as WALL·E took us well into our future, so does Brave take us back in time. Set in medieval Scotland, you might think it would be hard to sneak Easter Eggs into this film. You would be wrong. But they can be hard to see. Carved into the door frame above Merida are these figures: A CXIII. If you aren’t too well versed in Roman Numbers, C is 100, X is ten, and each “I” is worth one…. so there is our A 113! We know it is a little hard to see, but have we steered you wrong yet? Nope! So how do you suppose Pixar is going to squeeze a truck into a film set centuries before the invention of the internal combustion engine. There is no other way to go it but cheat, and cheat they did. It is just a wooden sculpt on thew witches workbench. Also in the wood carvings is a Celtic take on Sulley from Monsters, Inc... or possibly the forthcoming Monsters University. The Luxo Ball also makes an appearance, when Merida enters the witches house. Its small…. look on the bench on the right side. Pixar storyman John Ranft is also remembered in this film. An image of him is carved in a wooden box. The film Cars was actually dedicated to Ranft. This film was dedicated to Steve Jobs. During the production of the film, the animators routinely wore kilts on Fridays, to get in to the spirit of the film. 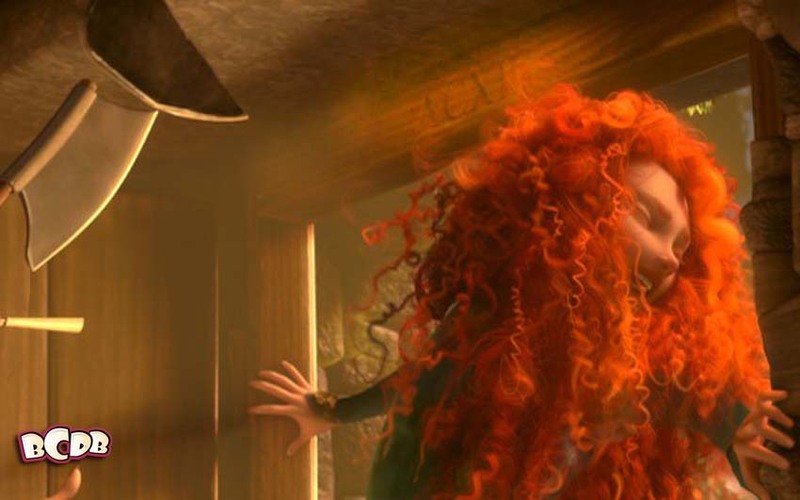 In Brave, John Ratzenberger plays a character named Gordon. From Clan DunBroch, and Martin guard Castle DunBroch’s main entrance. He announces each Lord’s arrival to the hall.